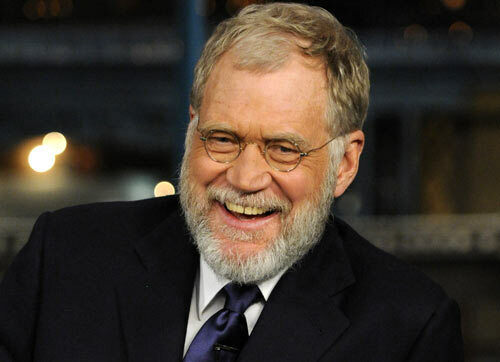 David Letterman returned to work Wednesday sporting a full beard amongst controversy. Joining him in his late night return was Jay Leno. Letterman is my preferred choice of show, although I don’t watch either too much. I’m so over this writers strike. And if these comedians were funny themselves, why can’t they make their own jokes? Letterman worked out an agreement to let writers work for him, and Leno used old jokes. One thing I think is ridiculous, is every late night talk show host that returned last night (Conan O’Brien, Craig Ferguson, Jimmy Kimmel also retuned) all said they supported the strike cause and said they were right. Yet, they all walk past picket lines. I think we should have got scabs to host the shows. Imagine someone like Courtney Love, Britney Spears or Paris Hilton hosting. What a delicious mess that would be. The return of the hosts is a big deal in the world of television and the thing that grabs my attention? The guests that night. Chingy and Bob Saget. What?